The Chevrolet Volt plug-in hybrid already offers a sound-alert system. WASHINGTON/LOS ANGELES -- Nissan Motor Co., General Motors Co. and other makers of electric and hybrid vehicles will be required by U.S. safety regulators to install warning systems that will automatically sound alerts to pedestrians. The U.S. National Highway Traffic Safety Administration and advocates for the blind have raised concerns for several years about safety risks to pedestrians posed by hybrid and electric vehicles that make little engine noise. "Even as we make giant leaps forward with hybrid and electric vehicles, we must remain laser focused on safety," NHTSA Administrator David Strickland said in a statement Thursday announcing the start of a rule-making process. "With more and more quiet vehicles on the road, we have to consider their effect on pedestrians." Japan in 2010 recommended that sound alerts be required on hybrids that can run exclusively on electric motors, electric vehicles and fuel-cell vehicles. NHTSA by law must write a standard by July 4, 2012, for an alert system that doesn't require action by a driver or pedestrian to activate it, the agency said in a notice published on its Web site Thursday. All vehicles of the same make and model must have the same alert sound, the notice said. GM's Chevrolet Volt plug-in hybrid and the full-electric Nissan Leaf offer sound-alert systems. 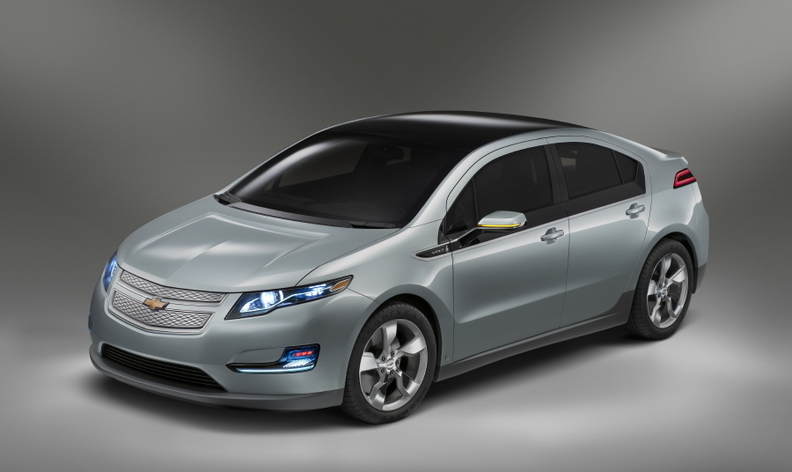 The Volt's is activated when the driver pulls the turn-signal handle, according to the NHTSA notice and GM's Web site. Nissan's new Infiniti M hybrid sedan also has audible alerts, said Jeannine Ginivan, a spokeswoman for the automaker. "As NHTSA moves toward regulation, Nissan will analyze the details of NHTSA's proposal and submit any appropriate comments to the agency after evaluation," she said. Toyota Motor Corp., the world's biggest seller of hybrid electric autos, later this year will include an audible pedestrian alert on its new Prius V wagon that engages when the car runs at low speed on battery power. "Toyota has collaborated within the industry on this issue for many years. As soon as the rule becomes official, we'll certainly comply," said Cindy Knight, a Washington-based Toyota spokeswoman. Ford Motor Co. is developing sounds for its 2012 Focus electric model, set to be introduced later this year, through steps that include running a poll on Facebook to solicit feedback, Wes Sherwood, a company spokesman, said in an e-mail. NHTSA said its regulation will cover light and low-speed vehicles, motorcycles, buses and heavy-duty trucks. A final rule must be published by Jan. 4, 2014.